Please evaluate my profile and suggest whether I should retake GMAT. 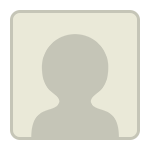 Do suggest target schools based on my profile. Thank you so much for your time and guidance! - Your school selection was off last year and it is still not perfect at your current GMAT score. - Try and raise the GMAT by 20+ points to have a better shot at the schools you are looking at. - As a Test Engineer, you may also be perceived by some schools as not having enough business/management exposure. This needs to be addressed in your essays, if it was not already. - Are you currently in India or the US? It seems like it is India. How long did you work in the US for? - Your acads are quite strong and you have a Master's degree as well. With a 710, you already have the intellectual horsepower to be able to get to a 730 or above in say 2 months of studying. Some R1 deadlines are feasible. That will also put you in much better shape for your target schools. 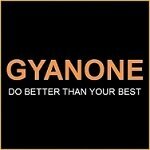 Thanks a lot GyanOne for your views and guidance. All your points are on the same lines as I was thinking. I should have been more specific- I am currently working in the US in a leading semiconductor and telecom company in California and completing 5 years this Sept.
For the management experience, I am hoping to portray the growth in my responsibilities along with some accomplishments like establishing a team in India, mentoring, leading features, etc. Along with a busy full-time job, I think 3 months preparation for GMAT will be more realistic and achievable- which would mean missing most of R1 deadlines. Is it advantageous to apply in R1 than in R2? Also can you please suggest some schools I can target based on my profile. That is excellent and actually gives you a better chance. Have you visited your target schools already? If not, your absolutely should. Semiconductors is a good domain but your post-MBA goals, at least the way they are expressed, will give rise to questions on why you need an MBA to achieve them. Need to dwell on those a bit more and refine in expression. That alone may not be enough. The people part is good, but they are looking for more than that. Think problem solving and business exposure. You are the best judge on that. Do keep setting targets and pacing yourself to measure progress. Put in your best application with your best GMAT score, whether it is in R1 or in R2. All other things being equal, prefer R1 to R2. Thanks a lot GyanOne for the prompt reply. These are some good points to consider and keep in mind. Hope that helps! 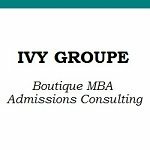 If you would like to discuss further through a free consultation, feel free to reach out at https://www.ivygroupe.com/contact. Thanks a lot Shaifali. All these pointers are definitely helpful.